Be supportive of fellow artists, they are just like you- creating with love. 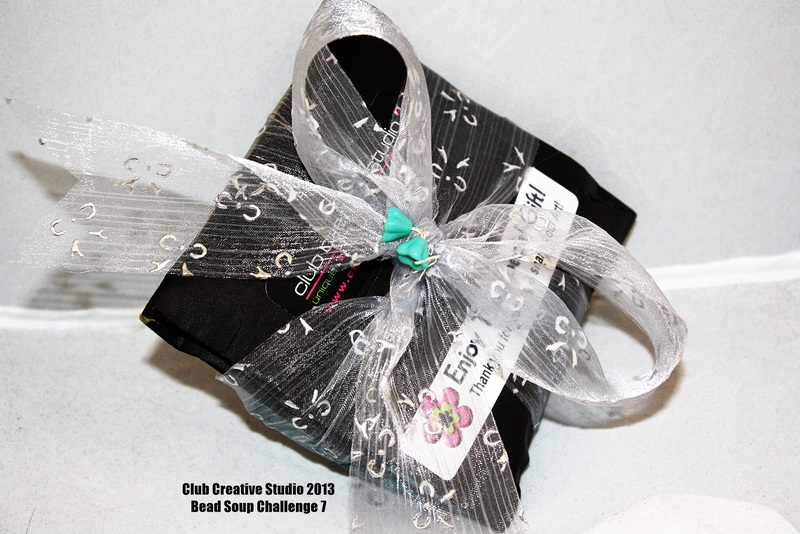 Welcome to the Feature Friday post on the blog with a focus on creativity from Club Creative Studio. 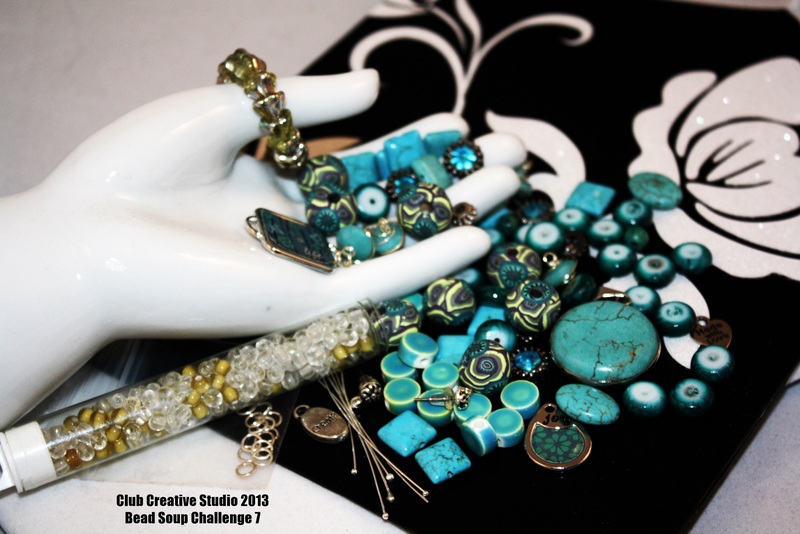 Today I would like to highlight the efforts of those working with artist Lori Anderson from her Bead Soup Bead Challenge. 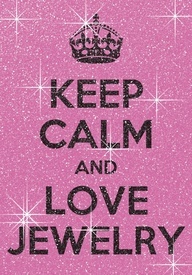 There should be a message to this madness and it could be to BE CALM and LOVE JEWELRY, while taking part in a beading challenge. Ready? Set? Bring on the beads! I have had my share of taking part in beading challenges. Some situations were formal and some projects were casual. The main characteristic known within a beading challenge is that there is an organizational factor associated with the challenge and there is a level of commitment that is demanded to take part in a beading challenge. 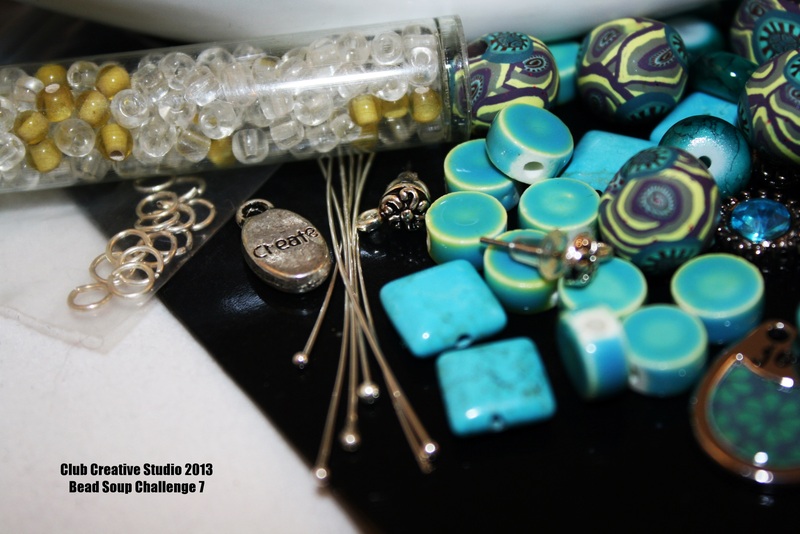 Beading challenges allow you to reach deep within and try your best with what is on hand or work within a box of limited creativity to the fullest. If you have decided to dedicate your efforts to a challenge of any type dealing with creativity, take a few deep breaths and dive right into the creative building phase. Use the opportunity to express your creativity and build to new heights. 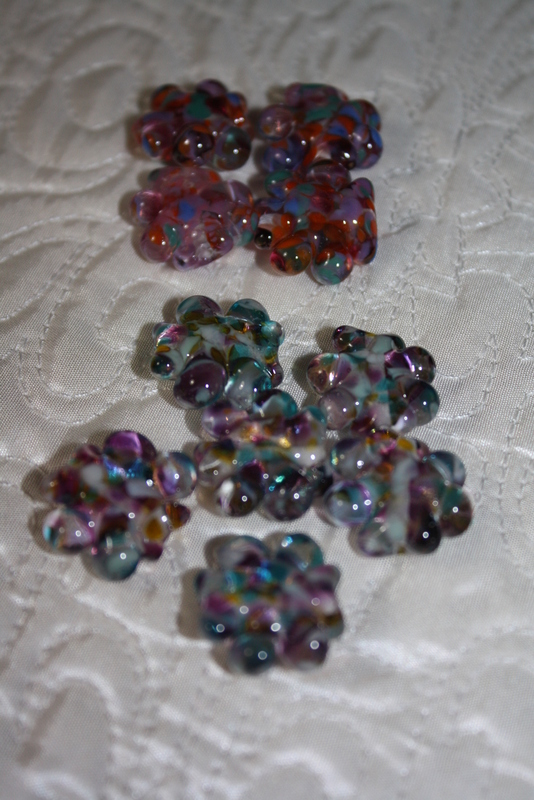 My latest challenge dealing with beading is going to be an interesting one. 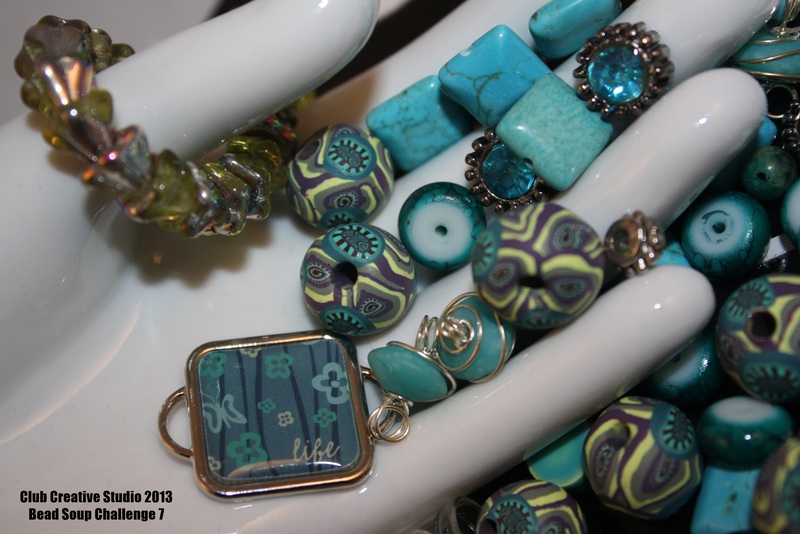 Two artists who are creating hand-made beads are paired together and are asked to exchange beads and create using them. The person who as founded this has been offering this opportunity for seven years. She is seemingly extremely organized and has a great system for getting from point A to point B. This is one reason that I was drawn to take part in her beading challenge. 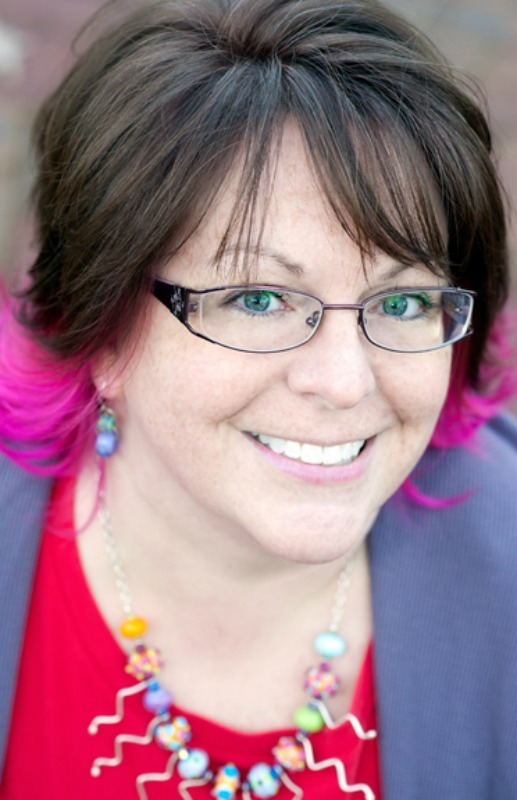 She recently sent me an e-mail and explained what she was up against in her beginning stages of setting up our beading partners. I give nothing but credit to her and her husband for dedicating their time and love of beading to bring others together in the same love of beads. 1) Visit Blogs. Lori takes time to look at all of our blogs because some are just contest entry blogs and that is not in our interests. Some of our blogs weren’t entered correctly and she had to physically find them. She takes steps to do this to insure that we are paired with someone who doesn’t work in too similar styles. She uses a spreadsheet to track what each person works with in their beading, and finds that out by visiting all of our blogs. 2) Highlight Participant List. There are 142 international people taking part in this year’s challenge. Many are in Canada and the UK, but she reports that there are some from Bahrain, France, Finland, Sweden, Germany, Luxembourg, Austria, Australia, New Zealand, and Switzerland, among a few other places. 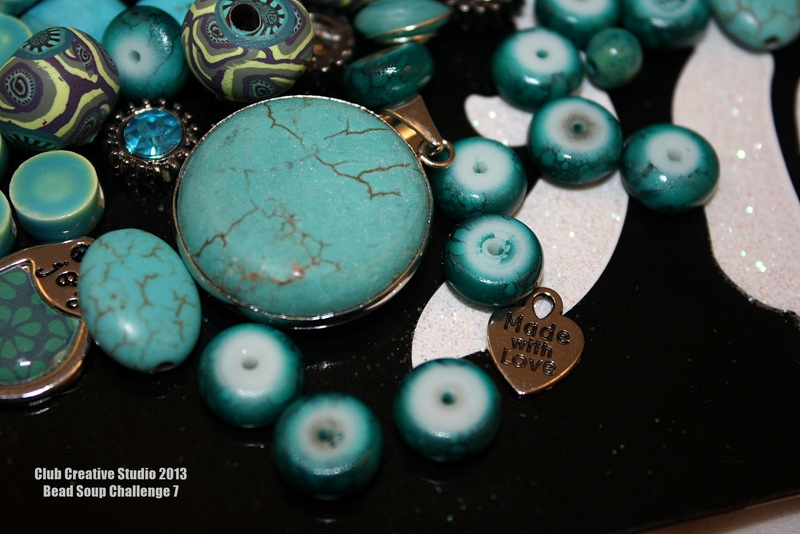 Her system involves matching bead artists who have requested to be paired within certain areas or other needs. There are three separate “reveal dates” that the artists get to chose from for their projects. So, knowing that date is another aspect that she pairs us with the best she can. Those who have indicated that they have no preference to their reveal are probably her instant friends (Smile). Her husband on a second computer helps at this point and together they work out the pairing. 3) Separate Information. Because she had three different reveal dates, she uses those spreadsheets in a separated manner, and starts her pairing from that point. 4) Email Contact. 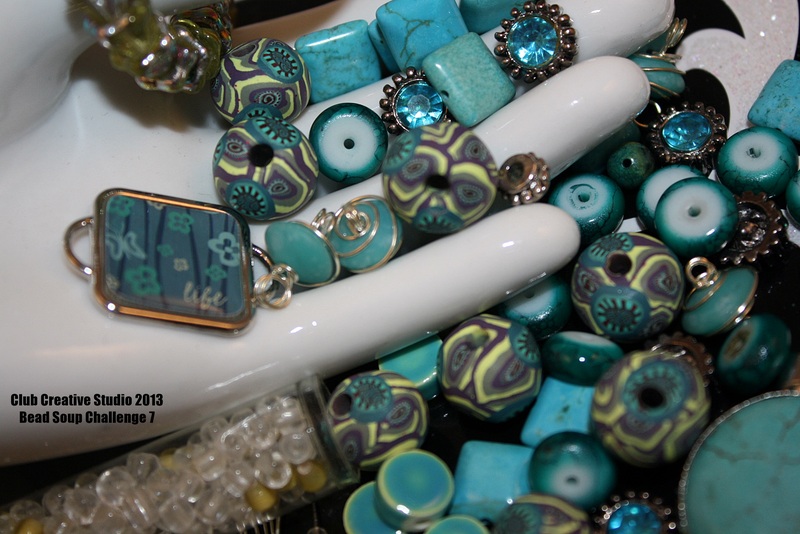 This year in Bead Soup Blog Party Seven: there are over 500 participants. For each pair she personally e-mails the partner’s name, e-mail address and blog site associated so that we can keep in touch with our progress. This gives me a headache just reading about all of those addresses and messages. Thank goodness for cut and paste and cc options, right? It is said that she normally gives herself a week to complete this task but, I know that there are many more sleepless nights and excitement associated with the planning of this event. Lori has started her seventh challenge and I look forward to taking part in my first challenge with her at the helm. She is busy using her organizational skills in a creative way for many. Cheers to Lori today as she carries on in her efforts at http://www.prettythingsblog.com/2013/01/sign-ups-are-open-for-7th-bead-soup.html.